MEHLVILLE – St. Louis area pastor David Pitts placed first for the 400-meter race during the Masters National Championships last month. As a result, within his age bracket, he now holds the number 1 ranking worldwide for the 400-meter race. Pitts is the founding pastor of ROC Ministries, a Missouri Baptist church in Mehlville. He ran track during high school and college and has coached at Mehlville High School during the past 7 seasons. 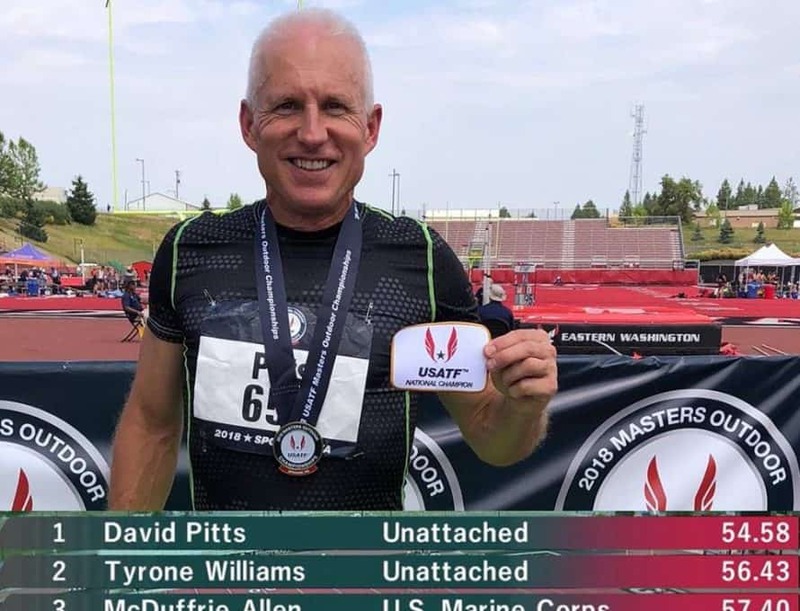 But he hadn’t competed for 35 years – that is, until he ran in the Masters National Championships at Eastern Washington University in Cheney, Wash., July 26-27, after training for only half a year. But he did prove himself during the competition. Running in the men’s 55-59 age bracket, Pitts placed first in the preliminaries with a time of 55.35 seconds – the fastest time up to that point in the 2018 season. Then, during the finals, he once again placed first and bettered his previous time by finishing in 54.58 seconds. Pitts may hold onto the number 1 ranking for the 2018 season, unless someone else overtakes his time during the world championships in Spain next month. Currently, he holds the 22nd-place in the all-time ranking, globally. He aims next season to break the world record in his age bracket, which was set at 52.24 seconds by Charles Allie in 2003. Meanwhile, he strives to run a good race as a pastor and follower of Christ. It’s much better to be known as a soul-winner than as a race-winner, he said. In a July 26th Facebook post, Greg Walker – who serves as the Carthage campus pastor for Forest Park Baptist Church – congratulated his longtime mentor for success in the 400 meter, mentioning that Pitts was also the person who led him to the Lord.